Utilizing super-strong tubular-frame construction, Steel King® heavy duty Rigid Containers are made to stand up to rugged everyday use. 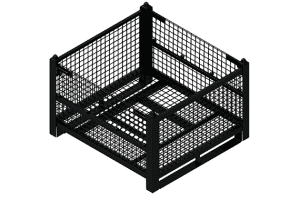 These industrial containers are custom designed to your requirements and can be made in virtually any size. Steel containers are an investment that will last for years.